Which of these great multiplayer PC games do you like to watch? The new platform is now live at www.smashcast.tv. 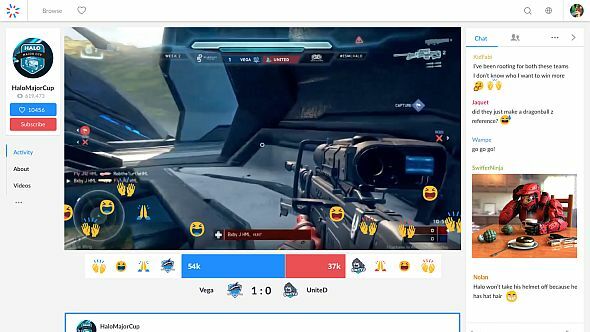 Smashcast boasts a revamped, cleaner UI and something called a ‘Hype-O-Meter’, which lets esports fans cheer for their favourite team during tournaments. Smashcast are also looking to monetise their audience in new ways beyond simple advertising. They are targeting new avenues in affiliate marketing, virtual goods sales, in-game betting and sponsorships to “close the gap in ARPU” (that’s average revenue per user) between the esports market and more established sports businesses. Smashcast have also announced the launch of a new, 4K-ready production studio in Vienna, Austria, reflecting a commitment to high-quality broadcasts. While it’s always great to see a new service emerge, Smashcast has some way to go before it can seriously threaten Twitch’s dominance of the streaming business. At time of writing, the most-watched channel on Smashcast (a COD Online stream byzzeQs) had around 350 viewers, while the most-watched on Twitch (AdmiralBulldog, playing Dota 2) had 11,650.